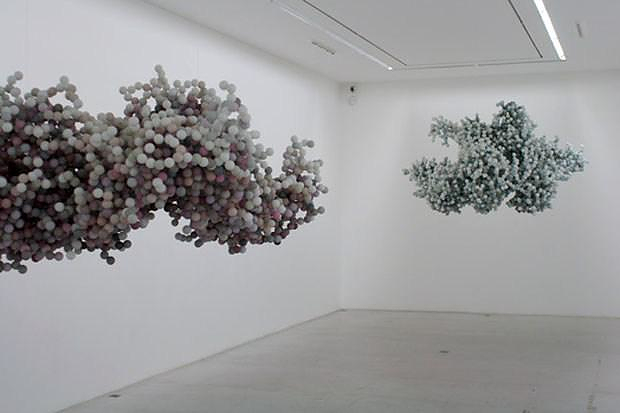 HomeBlogArtPixel Cloud by Daniel Arsham. 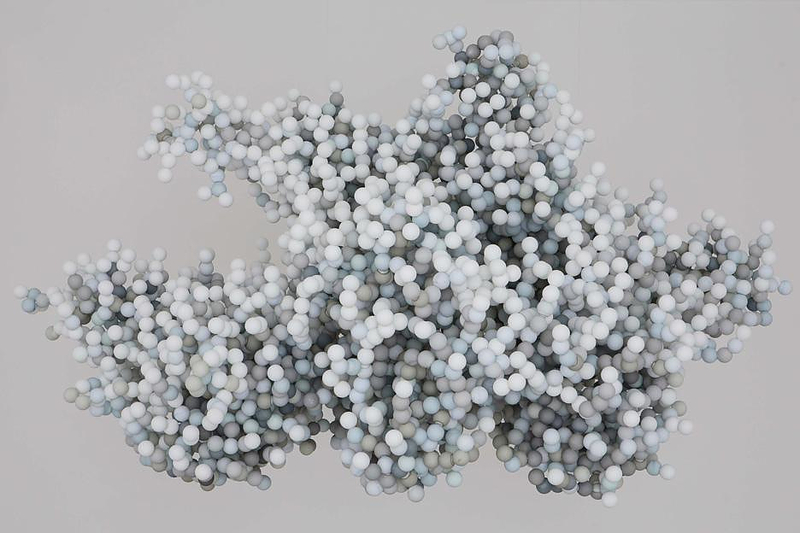 The impressive Pixel Cloud floating sculpture is the work of New York based artist Daniel Arsham and consists of 21.000 hand dyed ping pong ball assembled into cloud shapes. 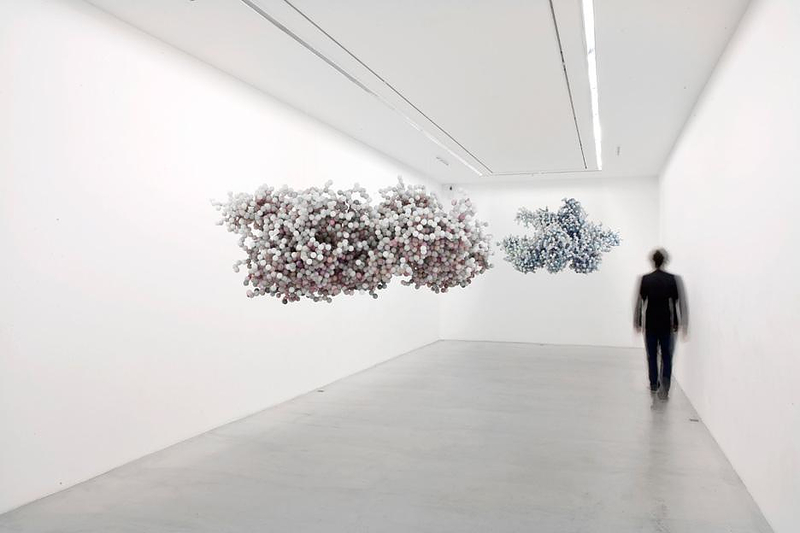 The idea was born when the artist took some photographs of cloud formations with his mobile phone. He then began to enlarge and zoom in the images until he clearly exposed their pixels, creating abstract formations composed of dots and colors. 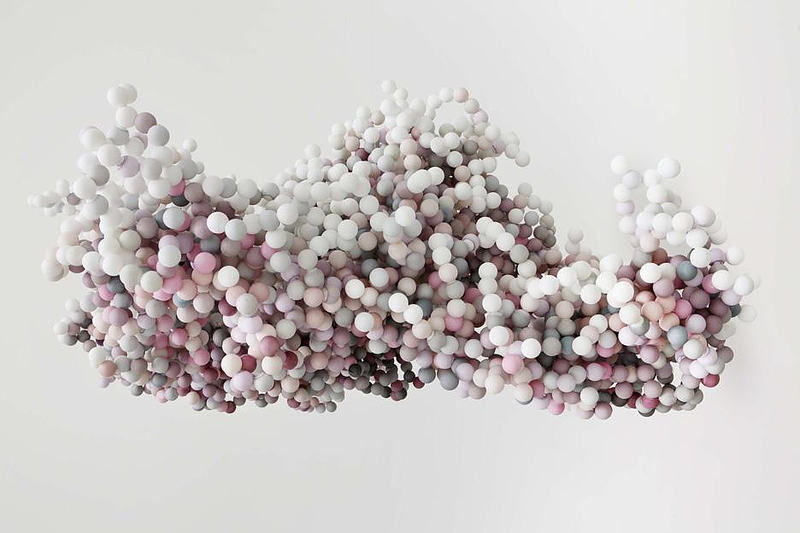 Having discovered this impressive, complex and inspiring shape, Arsham decided to find a way to convey the image of the pixelated cloud into three dimensions. 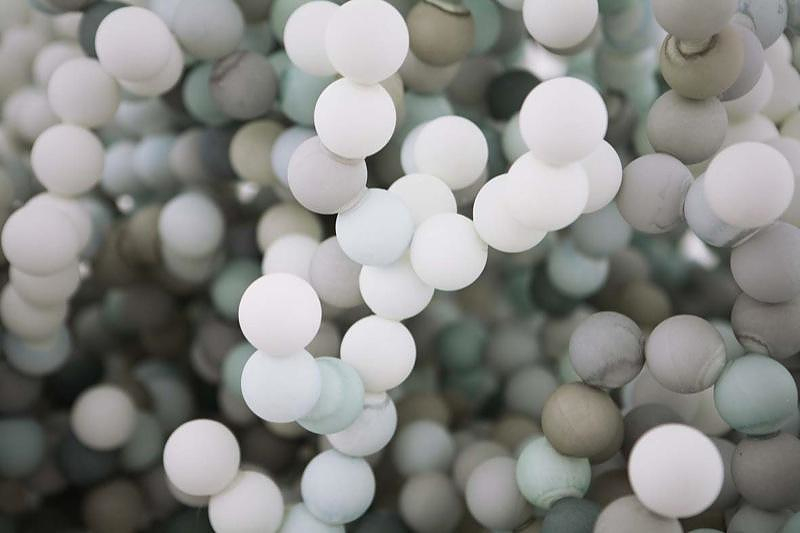 In order to realize this vision, Daniel Arsham used ping pong balls as raw material. 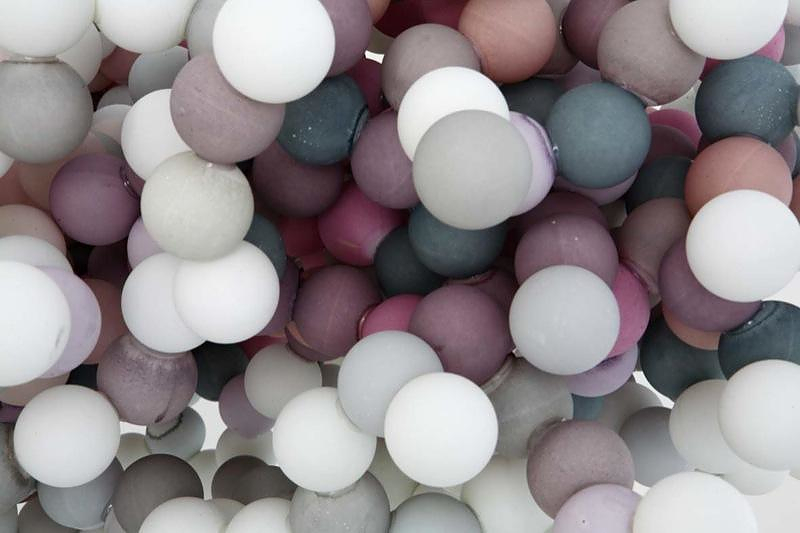 He dipped thousands of Ping-Pong balls in paint that matched the cloud’s color palette and glued the tiny plastic balls together in cloud-like formations. 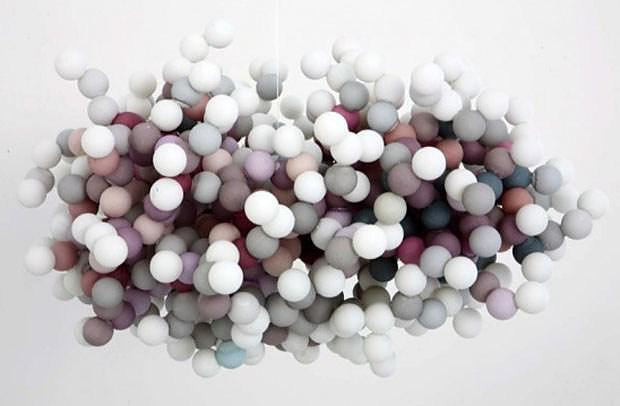 These seemingly delicate but durable creations resemble the colorful plastic models that assist students of organic chemistry in memorizing molecular structures and bonds, natural correlatives to architecture. 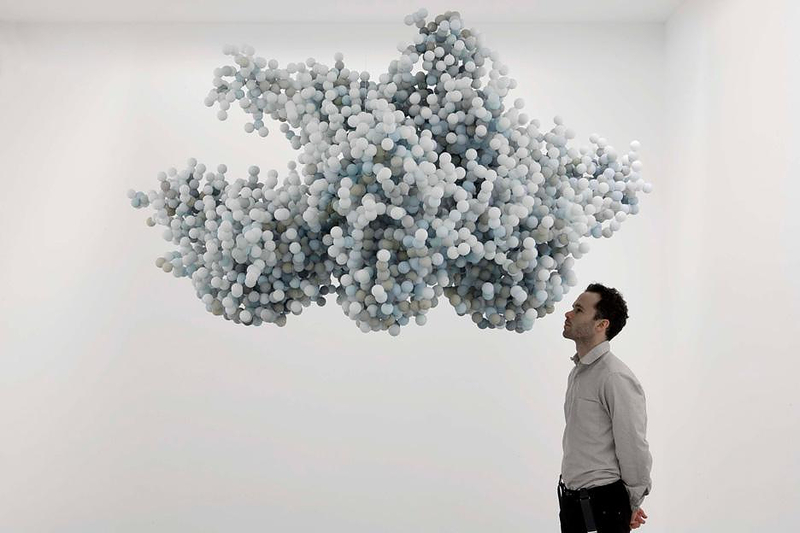 The Pixel Cloud is undoubtedly an impressive work of art, which is impressive on many different levels. Firstly for its original and unique concept, secondly for the ideally structured asymmetry inspired by the harmony of nature and finally for the sheer effort and determination associated with the creation of such a complex installation.